Order Inn Hospitality Services was founded in 2001. Order Inn’s initial core product, Order Inn Room Service, was created in an effort to provide a sustainable, streamlined and scalable room service amenity dedicated to limited service hotels and timeshares nationwide. 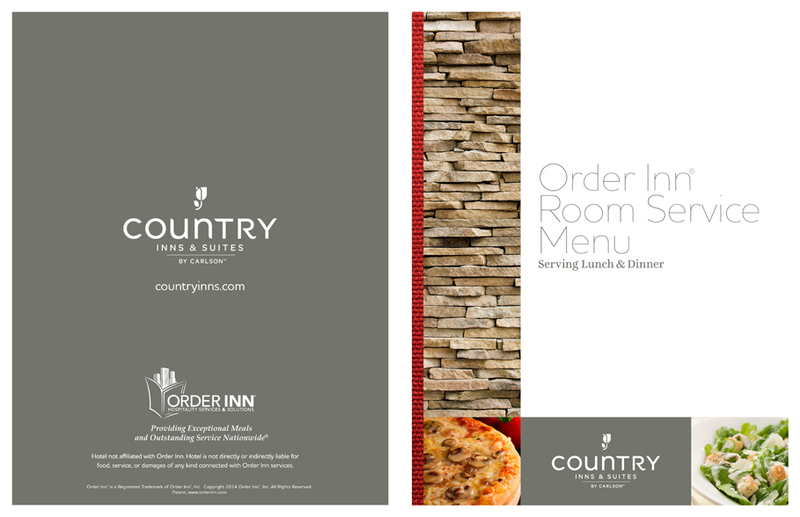 Order Inn Room Service is made available through custom co-branded, in-room and online menus. Room Service menus are quite extensive, offering soups, salads, appetizers, an abundant selection of main course meals ranging from burgers, sandwiches, pastas, poultry dishes, steaks, BBQ, seafood and more, as well as a full range of beverages and desserts in most markets. You will also find that menu item variety varies geographically, accentuating local flare. Depending on the market, Room Service is generally available from late morning until 9PM. Complimentary breakfast is made available through the majority of our limited service hotels during your stay. Room Service in many locations is open until 10PM to as late as 3AM. Our order taking process is handled by a live operator who connects you from the hotel room directly to our centrally located market kitchen. 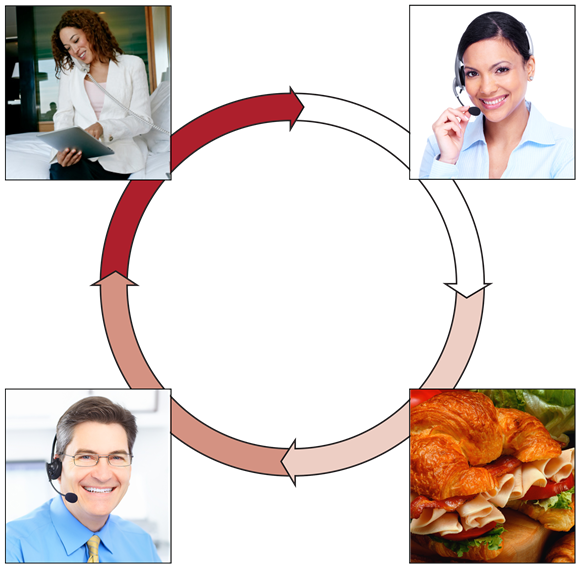 Live call monitoring during the entire order taking process and real-time customer service are also provided to ensure supplier compliance and guest satisfaction. 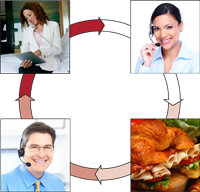 A brief call to a toll-free number begins the quick and efficient ordering process. 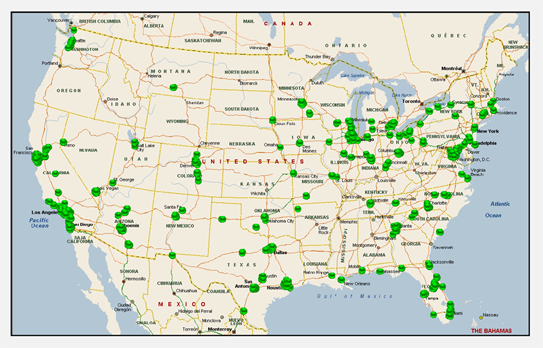 By January 2008, Order Inn was providing Room Service to 6,000 hotels in 800 markets nationwide. Due to this extensive footprint, cost free service, excellent reputation, and the total absence of a streamlined national meal service solution for limited service hotels, Order Inn attracted the attention of several major hotel brands at a national level. These hotel brands were excited to offer Order Inn Room Service, a missing valuable guest amenity and a way to acquire room night contracts that required meals. Historically, the single biggest reason limited service hotel chains lost room night contracts was due to the absence of on property meal service. 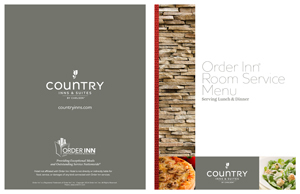 As a result, contracts were signed, easily identifiable co-branded menus were created and the hotel chains immediately started offering Order Inn Room Service to their corporate clients and daily guests at a national level. Order Inn quickly became THE exclusive food and beverage arm of the limited service hotel and timeshare industry. Vacation rental and corporate housing companies also began turning to Order Inn to fulfill their food service needs. Hotel chains now fully rely on Order Inn to handle all aspects of their room service needs: qualifying vendors (in areas such as health scores, financial stability, lease terms, etc. ), geographical logistics, quality control issues, brand standards, service continuity issues, customer service, menu printing and stocking, menu updating and restocking, cost concerns, liabilities, insurance requirements, reporting needs, as well as other added guest and staff benefits. 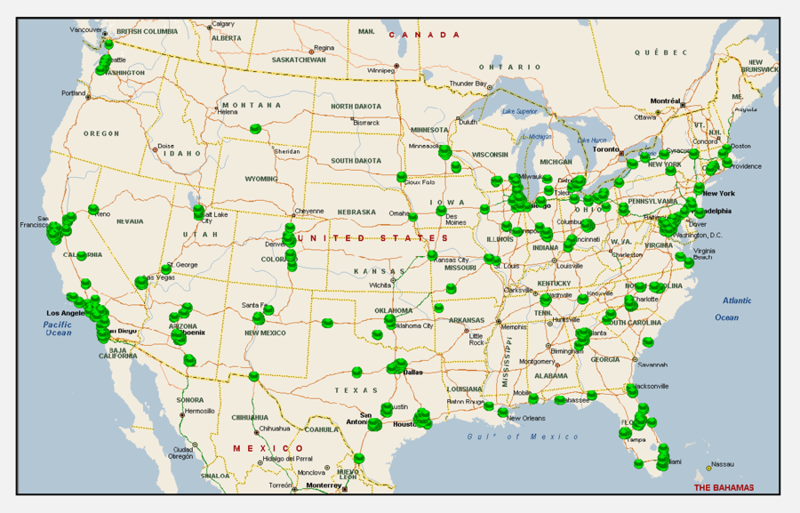 As of January 2013 Order Inn Room Service held contracts with over 30 major hotel and timeshare brands as well many large hotel management companies, covering more than 10,000 properties in over 1200 markets nationwide. After years of experience running Room Service for hotels, Order Inn began developing additional innovative technologies designed to solve a multitude of food and travel service dilemmas that had stifled the entire hotel industry for decades. As a result, Order Inn E-Cash Vouchers were developed. In late 2008, a need to charge room service meals to the room folio surfaced. The inability to do so was hampering our efforts to assist hotels with new room night contracts requiring meals. We realized that if the room folio billing problem could be solved, limited service hotels could effectively compete for these room night contracts. While working on a solution for this problem, it became apparent that a new financial services vehicle would be the best solution. Order Inn then developed a unique proprietary electronic currency, which allowed a hotel or hotel client to set up an account and generate E-Cash Vouchers. The E-Cash Vouchers could be emailed directly to the traveler or picked up from the hotel staff during check-in, and could be redeemed through Order Inn Room Service. Not only were the E-Cash vouchers an instrumental element in solving the room folio billing problem, they also turned out to be the beginning of a complete per diem control solution. Have the traveler spend their own money and submit their receipts for reimbursement. Pay the higher cost of staying at full service hotels, which offer room charges and direct billing.